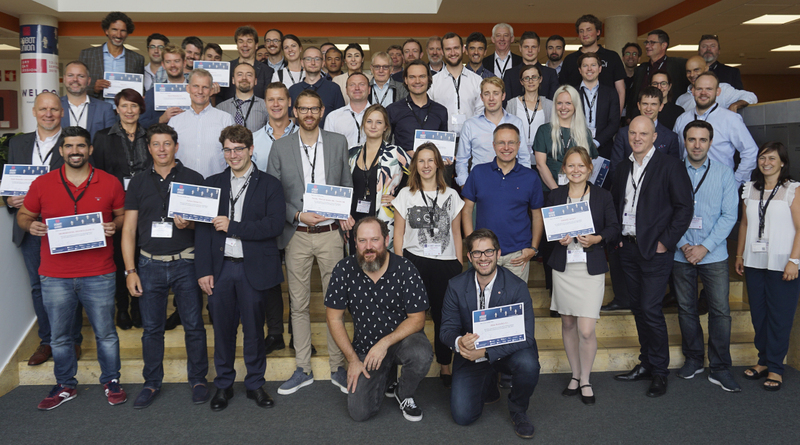 The start-up companies Fizyr and Intespring have been selected to enter the RobotUnion accelerator programme. They’re part of a group of in total 20 companies that successfully pitched in front of a panel of experts last week in San Sebastian (Spain). RoboValley is a partner of RobotUnion. Fizyr develops and licenses deep learning vision software and Intespring designs the smallest and most lightweight exoskeletons in the world. Both start-ups are based in RoboValley. A total of 44 companies, selected out of 204 applications from 32 countries, took the stage at Tecnalia’s headquarters in San Sebastian. The 20 selected start-ups and SMEs will now embark on a 6 to 12 month acceleration journey. Each selected company will receive up to 223,000 Euros equity-free cash for its initial funding stage as well as access to technological support from European robotics experts and business acceleration services. The best-performing companies participating in the programme may obtain an additional 1 million Euros of private investment in funding rounds lead by Chrysalix, Odense Seed & Venture and Blumorpho. RobotUnion will further boost the visibility of start-ups and SMEs in the robotics sector taking part in top international events. On November 14 & 15, the start-ups will visit Delft for a welcome camp, hosted by RoboValley and YES!Delft.